I want to tell you that I see a counselor. This is something that is taking a slight bit of courage to write about. That is due to the fact that we still live in a time where there is a negative stigma attached to the fact that sometimes we just need someone to talk to. We still stigmatize mental illness and in turn mental health. But, the reason I'm writing this post is because I don't believe it should be stigmatized and it should be much more out in the open. I began seeing Kelly last October when I was looking for an person who could be an unbiased third-party in my life. I was looking for a sounding board, someone to bounce my feelings off, to help me make sense of them. Someone who wouldn't judge me because they had no skin in the game of my life. Someone who wouldn't take offence to the things I thought or felt. A person who's job it is to validate me. A lot like a journal, but would talk back. Throughout the winter, a time that can get rough for me, I talked to Kelly about a lot of my feelings. Thinking that winter helps accentuate any negative feeling I have, having her by my side through this season was exceptionally helpful. She's been there to listen to my ever running journey and was someone I enjoyed very much bearing my deepest thoughts to. She had an incredible way of understanding me even when I didn't think I articulated myself well. She always seemed to get what I was trying to say. I talk about her in the past tense, because very recently she informed me she would be moving to Canada. Our last session together was this week. I have found another counselor in the same practice and am looking forward to hopefully a similar relationship. However, I will miss Kelly and the comfort we built with each other. When I first began seeing her I had Meridian Health Insurance through Medicaid. They paid for unlimited visits. For the first time in my life I could see a therapist weekly if I wanted. The bouts of therapy that I have had before were short lived due to limitations of my insurance. About seven months into our sessions I was dropped by Medicaid, but upon hearing of this Kelly offered to take me on pro bono so we could continue seeing each other. I don't have a mental illness, I have a generic diagnosis (for insurance purposes), but I truly believe that we don't have to be mentally ill to need talk therapy. We don't even need to be going through anything particularly difficult. 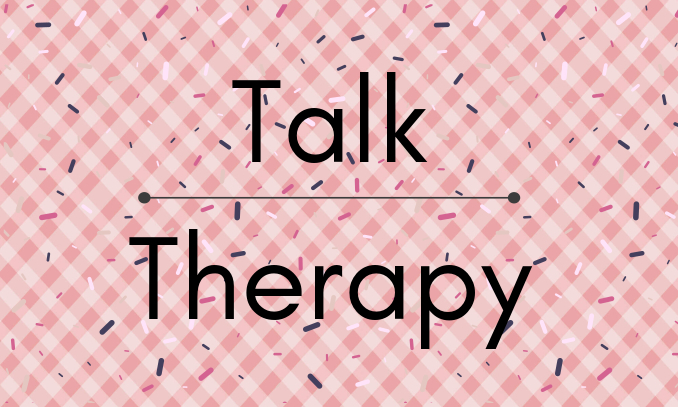 Life is difficult enough and I believe talking to a good therapist makes it much easier to bear sometimes. I know we have friends and family for that, but at times it helps to have a truly unbiased person to allow you to talk while they just listen. Even though I don't feel sick I still want to have a relationship like this in my life as preventative maintenance. It helps keep my mind well.